Yesterday I wrote this article, and I probably shouldn’t write when I’m annoyed. I think some context is needed here. The Dodgers are still a very good talented ballclub. They’re well-run most of the time. Sometimes they make stupid decisions but for the most part the Dodgers are a deep and talented team. However there is still room for improvement. In order for the Dodgers to get over the final hump and win the World Series, they’re going to have to make a big play. If the Dodgers are ever going to beat any of those super teams in the American League in the fall classic then they’re going to have to add an additional impact bat. The Dodgers should be adding players, not subtracting. So it’s irritating when we see the Dodgers salary dumping several solid regulars and refusing to participate in free agency while other clubs add players and fill holes. Other teams are posturing and having clear cut paths to roster improvements. Meanwhile the Dodgers are busy acting like a small market franchise. It’s super annoying. The competition in the National League over the last two seasons has been pretty weak. 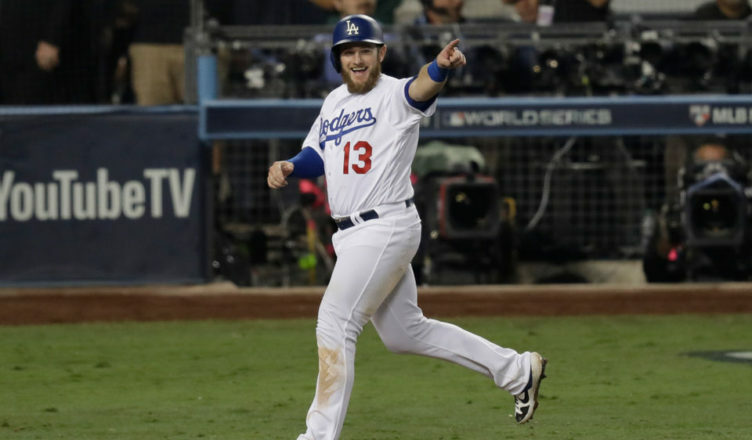 The Dodgers steamrolled over the National League in 2017 and then defeated their only real competition (the Brewers) in 2018 en route to the World Series. Better decision making (not starting Yu Darvish in game 7) would have won them the 2017 World Series. Having another impact bat in the lineup (other than Manny Machado who sucked) or another solid bullpen option would have given them a much better chance to beat the Red Sox. My point is, the Dodgers have to do a little more if they want to defeat these super squads from the American League. These American League teams are just superior clubs. They have been for the last few years now. They have better hitting and better approaches then the Dodgers or Brewers or Cubs or anyone else from the National League. But that doesn’t mean they’re unbeatable. You just have to add a little bit more so you can match-up better with them. You have to change your approaches in order to even the playing field. If the Dodgers can do this, then maybe we can finally get that World Series Championship that we’ve been craving for years. The Dodgers have a few holes on the major league roster that they need to plug. Once Yasmani Grandal signed with the Brewers, that meant the Dodgers have to acquire a catcher from outside the organization or be forced to use Austin Barnes as their everyday backstop. Trading for J.T. Realmuto would be wonderful but we can all agree that it’s unlikely to happen. So the Dodgers have a need at catcher, second base, and right field. Right field can be plugged internally. I would guess that Alex Verdugo would get the majority of the playing time, but catcher has to be filled out from outside the organization. Unless you believe that Keibert Ruiz is ready for prime time. The Dodgers have to do some more work. They have to add players, not subtract. That’s what makes the salary dumping trade of Yasiel Puig, Matt Kemp and Alex Wood frustrating. The Dodgers received nothing in return but salary relief and roster space. Yet they’ve done nothing with both. Hey Dodgers, those roster spots are open. It’s not just that the Dodgers need to find a catcher or second baseman. The Dodgers have to change their game philosophies a little in order to get over that hump. Platooning and stupid match-ups are fine if they’re used in moderation. 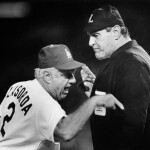 It’s ok to switch players around the field, or go to a late inning lefty on lefty matchup if it’s done in moderation. Don’t binge on that stuff and use it every single inning of every single game. Have another strategy available and strike a balance between in-game approaches. Have better approaches at the plate other than just swing for fence. I’m not asking for the Dodgers to spend 300 million dollars in free agency and neither are you guys. Although I wouldn’t care because it’s not my money. You get the idea here. We just want to see the Dodgers adding players. We want to see the Dodgers improve. We want to see a balance of game strategies, management tactics and more contact oriented plate approaches. I think if the Dodgers do this then they have a better chance of getting over that hump and bringing home a World Series title. What do you guys think? Well, Lemahieu is off the table…. I don’t think he would have made that much of a difference. Probably would have been a failure, as was Forsythe and Dozier. Friedman really on the outside, looking in. Not much left in the pickle barrel. They just have to let their prospects play. Stop holding these kids back… the Dodgers have nothing to lose at this point. Who knows, they might get lucky. They will never know if these kids are ready, unless they try. … don’t know how they will be able to justify those high ticket and parking charges. I guess they don’t have to, as the “Walking Dead” Dodger Fans will still unconsciously storm the gates and fill the Ravine. Lemahieu may not have made a difference but I would not be too surprised if one reason he didn’t sign with Dodgers is that very same reason I mentioned several times before. He, like many are not interested in being converted into some marginal platoon player. Chili Davis is the Mets new hitting instructor. This article begins “Chili Davis is ready to scrap launch angle…” and I’m sure no fans here will have feelings about that. The New York teams sign Lowrie and Lemehieu just because they can while Andy keeps hanging around the bargain rack. Tanks for the memories. I honestly cannot think of another member of this Dodger organization who is as unpopular as Freidman right about now. Dodgers just traded for a catcher…wait for it….Russell Martin is back in Dodger Blue. Dodgers getting substantial money back to cover his contract and sending 2 minor leaguers to the Jays……another stellar move by a brain dead front office. LOL, but hey Michael, don’t remind them, they might change…. Name one free agent in the previous 3 years Friedman should have signed! There’s a lot of GM’s who regret the players they signed. Check out Theo’s signings over the last 3 years! Everyone complains just to complain! Name one top ten free agent Friedman should have signed over the last 3 years. There are a lot of GM’sthat regret those they signed. Check out Theo’s signings over that time. Everyone is complaining just to complain. Friedman has done a great job. He’s saved us from a lot of bad long term contracts. Like the one someone is gonna give Harper!